By nature, man is a curious being and has always had those regions that particularly fascinate him because they are difficult or even impossible to reach, be the peaks of the highest mountains, the moon or the depths of the ocean. Countless works of science-fiction deal with the population of the latter two regions. The fact that science-fiction has often anticipated or even inspired many actual developments is widely known. So it comes as no surprise that real architectural firms are becoming quite seriously concerned with buildings below sea level. Submarine architecture design comes in various scales. It can range from small underwater buildings up to entire cities under the sea. Of the former, many examples have been and are being already achieved. However, most of these are a spectacular design gimmick rather than something that serves a higher purpose. On the other hand, behind the visions and concepts of sea cities often lies dealing with problems such as overpopulation or the loss of territory by rising sea levels due to climate change. Here, it is a question of developing a completely new habitat for human life. 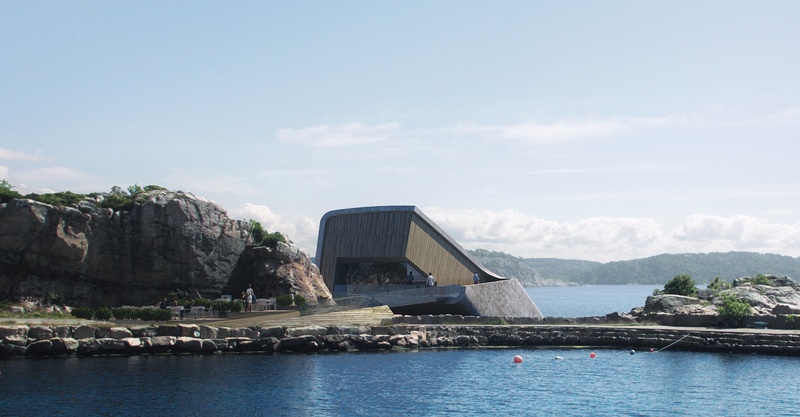 In the category “small and actually built”, is currently the restaurant “Under” from Snøhetta, which will be completed in 2019 making it, strictly speaking, still under construction. The project name is deliberately ambiguous, because the Norwegian word "under" means both "under" as well as "wonder". Both apply to the building. 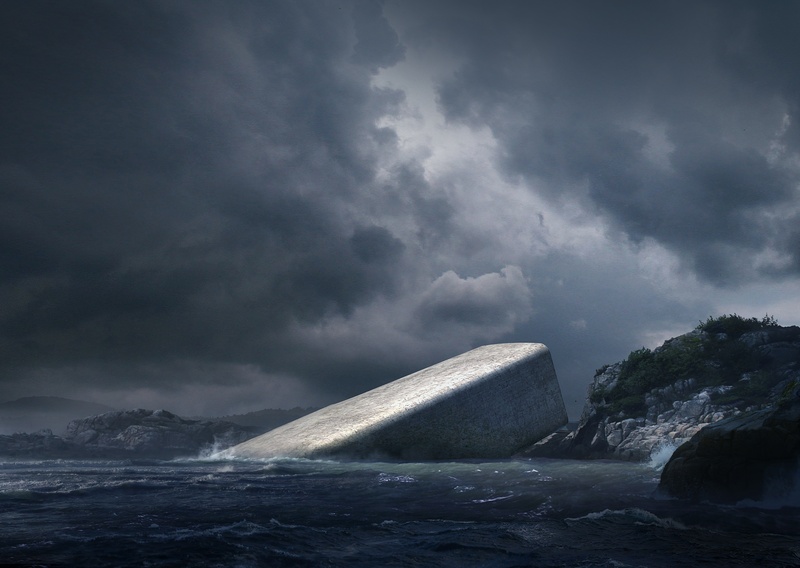 About half of the slightly elongated, streamlined structure with meter-thick concrete walls is, in fact, under water, but this is purely optical, as if it were a result of a landslide into the sea. At the outer end is a huge acrylic glass panoramic window which offers a wonderful (hence "wonder") view of the underwater world. 'Under' has been designed as a mixed building. On the one hand, it will include a restaurant. 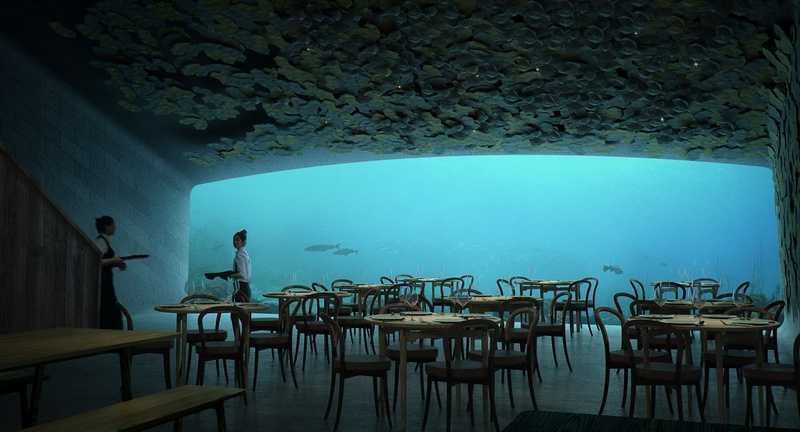 It is not unique in this respect because there is an underwater restaurant called Ithaa in the Maldives, built in 2004, as well as a few others. 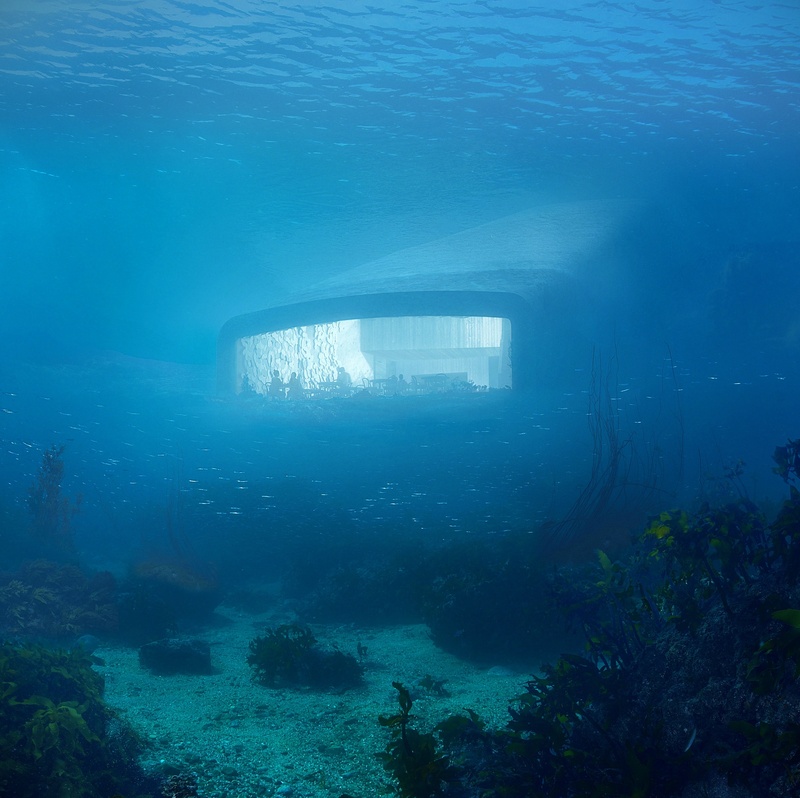 On the other hand, 'Under' will also be used as a marine research center. With this, the architecture not only delights restaurant visitors but also serves science. An underwater vision of a much larger and broader scope is the Japanese construction Ocean Spiral by Shimizu. The design, published in 2014, is a complete city in the deep sea which extends from the sea floor at a depth of several thousand meters up to the surface of the water. The idea behind this is the following: Oceans cover around 70 percent of the earth's surface of which, in turn, about 80 percent is made up of deep sea. That's a lot of space that could be a potential habitat for humans. And even more: According to Shimizu, the deep-sea provides a limitless potential for food, energy, water, CO2 storage and natural resource. This sustainable and self-sufficient underwater city consists of three components: 1. An air-tight ball (mostly) just below the sea surface in which 5,000 people live and work; 2. An "earth factory" at the bottom of the sea where, among other things, it is explored and resources extracted and processed; and 3. A spiral-shaped infrastructure that connects the ball and the plant. The required energy is obtained from methane, which is produced from CO2 using bacteria, and by ocean thermal energy conversion. The material of choice for Ocean Spiral is planned to be a waterproof polymer concrete, produced using a huge 3D printer. The windows of the ball are made of acrylic glass. The technology is still not advanced enough to actually build such underwater cities. Shimizu, however, is planning that it will be sufficiently advanced by 2030 to populate the deep sea. Life underwater would be different than that in the open air - mostly limited to the city itself and determined by activities and fields of work which involve the deep sea. Whether man can feel permanently comfortable underwater or wishes to take vacation on shore as often as possible, will be seen maybe sometime after 2030.